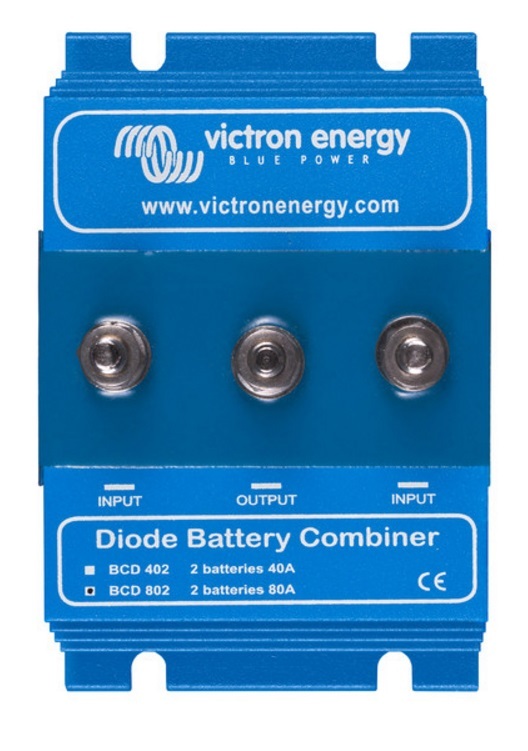 Diode Battery Combiners are used to guarantee continuous DC power to mission critical equipment, such as an electronic engine control system. 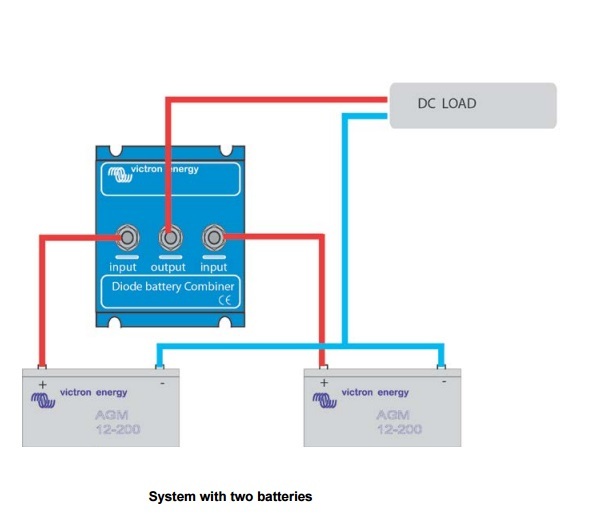 With a Diode Battery Combiner two or more DC power sources can be used in parallel to supply the mission critical load. Failure of one source will not interrupt power to the critical load. The Argo Battery Combiners feature a low voltage drop thanks to the use of Schottky diodes: at low current the voltage drop is approximately 0,3 V and at the rated output approximately 0,45 V.
Dimensions 2.4" x4.7" x 3"